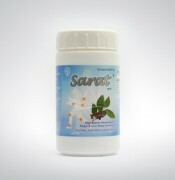 Leaves efficacious as laxative urine (diuretic) and pain relief (analgesic). As a diuretic, bay leaves are able to multiply the production of urine that can lower blood uric acid levels. Helps relieve aches, ached and pain in the joints. Avoid high purine foods such as meat, offal and nuts. Drink water at least 2.5 liters per day. Do exercise regularly.